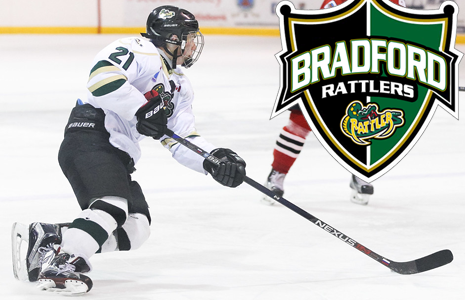 He is just 17-years old and Russian-born forward Khassan Al-Dzhilaui of the Bradford Rattlers is leading the Greater Metro Jr. Hockey League in scoring with 18 goals, 44 assists, 62 points in 20 games thus far this season. Hailing from Moscow, this is the Grade 12 youngster’s third season with the Rattlers. “He’s a power-play specialist and very skilled,” Werth told HockeyNewsNorth.com, noting that Al-Dzhilaui first started coming to Canada when he was 11-years old for summer hockey camps.